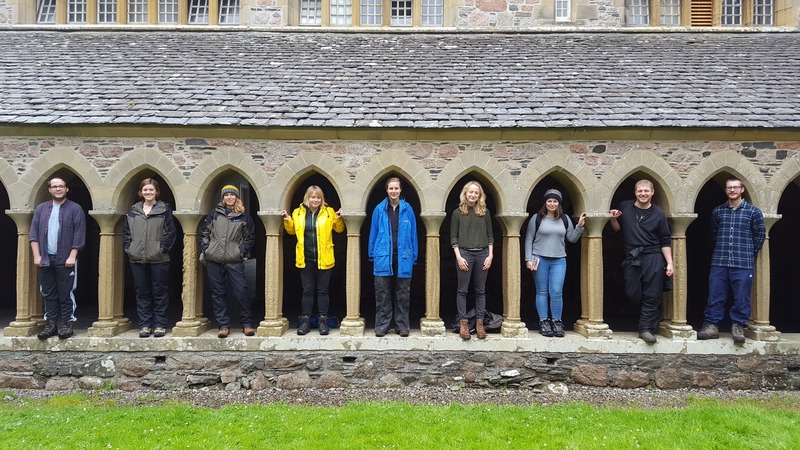 If the past 12 months have taught me anything, it’s that Historic Environment Scotland has the best internships going! 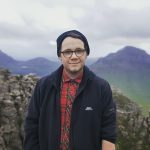 A few months after graduating from Portsmouth University, I stepped into the role of “Climate Change Risk Assessment Intern” and haven’t looked back since. I grew up in the West of Scotland and spent many years in Glasgow, surrounded by some of the most incredible historic architecture, from modest tenements to extravagant museums and art galleries. This without a doubt fostered a love for our built heritage and the historic environment. This passion sat well alongside my studies in Earth Sciences and Environmental Hazards. The very existence of the buildings that inspired me are a direct result of the rocks beneath our feet, whether in the foundations they provide or the building materials they supply. It was this connection that motivated me to pursue a career in the heritage sector. There has been no such thing as ‘day to day’ during my internship. I’ve been extremely fortunate to gain experience working in many aspects of the heritage sector. I’ve mostly been working on a Climate Change Risk Assessment of the HES Properties in Care, in partnership with the British Geological Survey. The expertise I brought as an individual to this role has been more than supplemented by “on the job” training throughout, an integral part of the internship from the beginning. 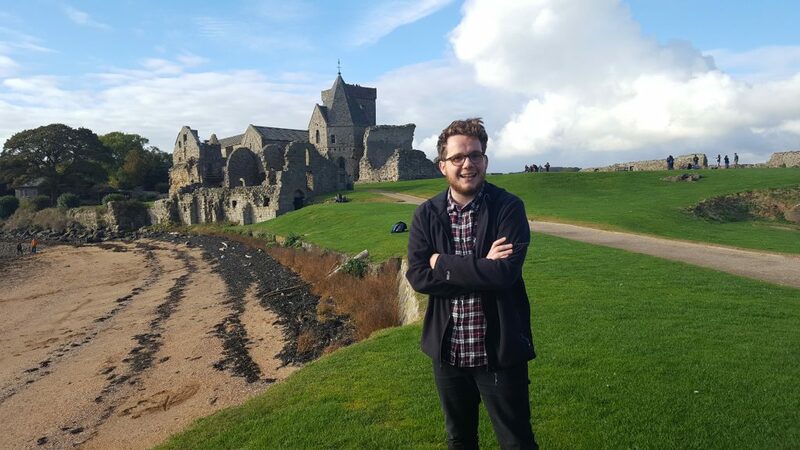 I’ve now been to the Iona Abbey twice since joining HES. Although it’s quite a journey to get there, it’s absolutely worth it. Do it with friends and recreate the cloister shot! The internship has also given me the chance to meet others working in similar roles. Through attending meetings and events with people from organisations like the NHS and Scottish Natural Heritage, I’ve been able to build up a strong network of professional contacts, which can only be of benefit going into the future. I couldn’t possibly list all of the highlights of the internship so far, there are too many! However, a few things spring to mind. Working on the Risk Assessment is definitely one of them – it’s an incredibly exciting project to be part of, ultimately providing data that can help future-proof our properties in care. It’s also developing a methodology that will hopefully assist other organisations facing similar issues to us. Another clear highlight would be the many site visits I’ve been fortunate enough to go on. HES has an incredibly varied estate of Properties in Care, situated in some of the most diverse, dramatic landscapes Scotland has to offer. It’s undeniably the best “office” around. 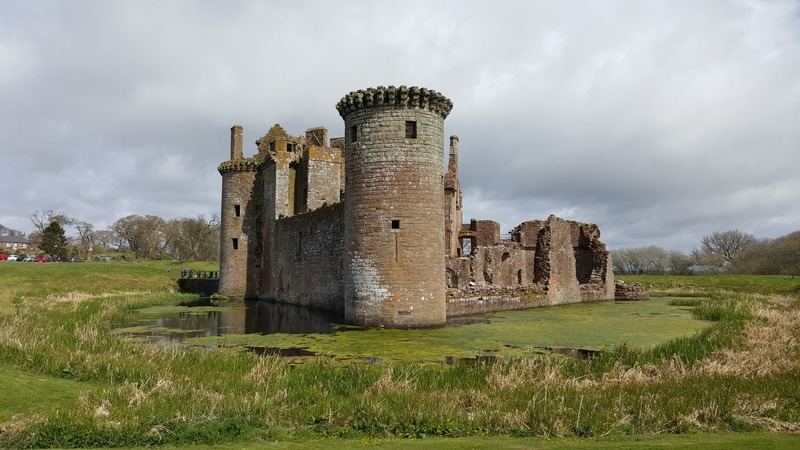 Caerlaverock Castle near Dumfries has been one of my favourite sites to date. Its ruined appearance and form is unlike any other castle I have seen yet, and it still has its moat! This internship has been much more than a job. It has been, and continues to be, an unforgettable experience, doing something I love, surrounded by people who are equally passionate about our country’s heritage (in all its different forms). Importantly, it’s also given me the opportunity to enhance skills I already had, as well as to gain new ones that I can take with me into future roles. Keep an eye on our website and social media channels for details on how to apply for internships, as and when they become available. We also have a wide variety of other vacancies, have a look at our Jobs pages to find out more.